“Twas the night before Christmas, when all through the house, not a creature was stirring, not even a mouse….”Sound unfamiliar? In the run up to Christmas do your kids have 101 questions that they throw at you about the big fella’s impending arrival? Their inquisitive little minds really do put us parents to the test and keep us on our toes, but thanks to Traditional Christmas we have a great Christmas Bundle that really does help answer all those tricky questions and gives parents the upper hand by being prepared for all scenarios! When those Christmas catalogues land on the doorstep and kids start frantically circling every toy and gadget possible, we parents start to use words like ‘well maybe if you’re good, Father Christmas may come and visit you” which is quickly retorted with ‘but how does he know I’ve been good?’. The personalised Santa Scroll gives you just the answers and is best delivered at the beginning of December before all the festivities start and helps as a reference point for even the shortest of memories! The beautifully wrapped Santa scroll comes in a keepsake box, wrapped in red ribbon with a Santa key attached. My children’s faces lit up at the small details; seeing their address and names in print, that Santa knows the colour of our front door and that he’s received their Christmas wishes and was busy preparing their gifts. In addition to the scroll, The Christmas Eve pack comes with everything you need to ensure your little ones that Santa will definitely come and visit and find your home! These beautifully presented props can be used year after year as an ongoing family tradition. “We don’t have a chimney, so how will he get inside to deliver the presents?” …..With the magic key of course that only Santa can use! 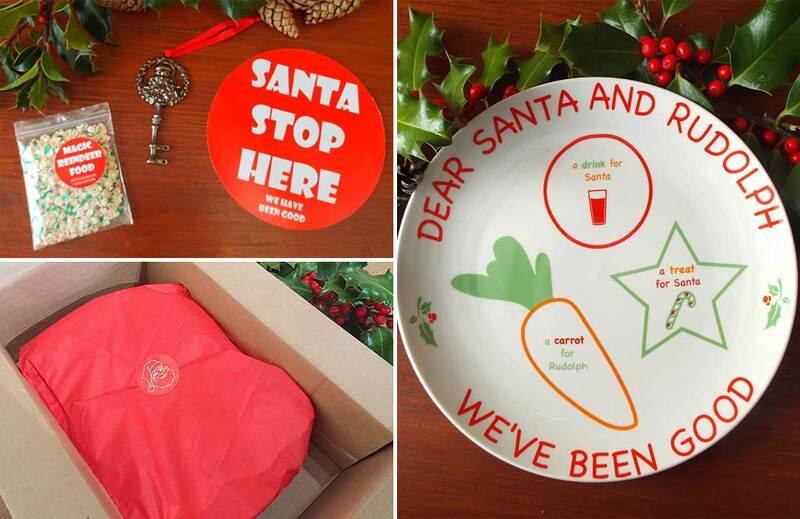 “What shall we leave him to eat?” ….. A carrot for Rudolf, a treat for Santa with love from your family on a personalised plate. Fancy yourself your very own Christmas bundle box? 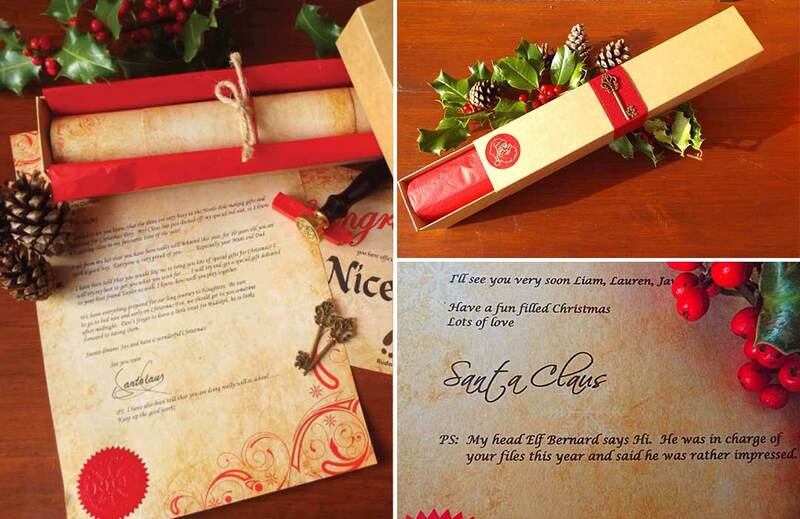 We currently have up to 53% on personalised scrolls and Christmas Eve bundles! Pop over to the LittleBird website and purchase your box, it’s the perfect way to start their Christmas Eve!